If you are reading this and will be eating at my sister's house on Thanksgiving - SPOILER ALERT!!! Tonight I did a test run with what I will be bringing to dinner. 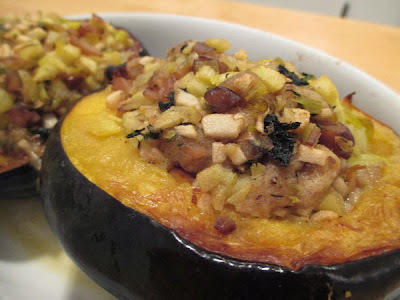 Baked Acorn Squash with Chestnuts, Apples and Leeks from Food and Wine. Just need to adjust the seasonings a bit but it should be a perfect side dish! 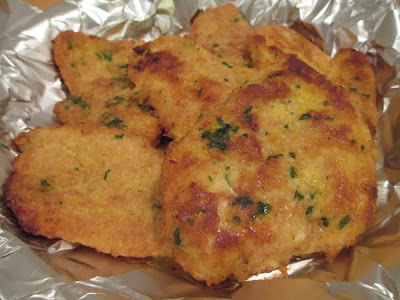 And we had Chicken Cutlets that I had in the freezer.